So you have bought a smart trainer, now what? Many trainers come with software that offers some functionality with the units, but most work best when paired with third-party software. There are a number of training software options on the market. The two we have tested are Zwift and Rouvy. 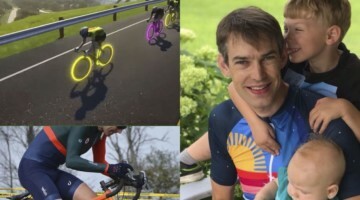 Zwift is the increasingly ubiquitous “game” that allows you and your avatar to ride around virtual worlds such as “Watopia” or the virtual London the company has created. 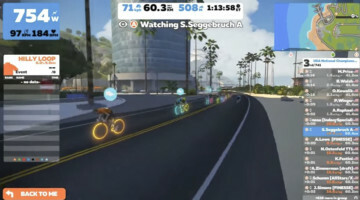 You can free ride routes that feature flats and climbs, join a group ride, throw down in a race or set a workout to ride while traversing the virtual world. 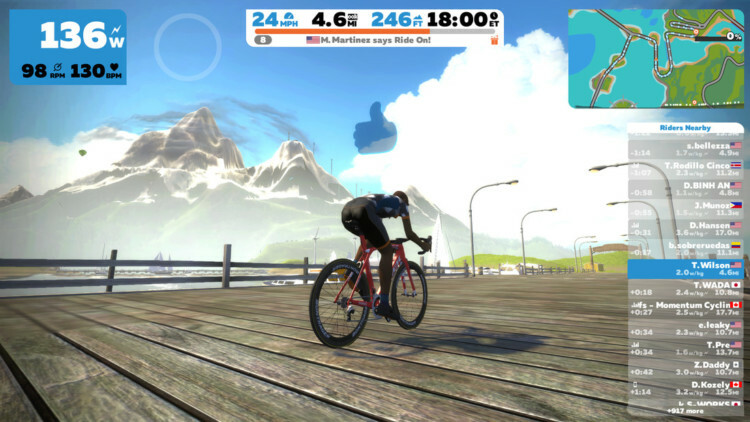 The smart trainers we have reviewed all provide seamless grade changes, so Zwift provides a fun life-like riding experience even though you are indoors. 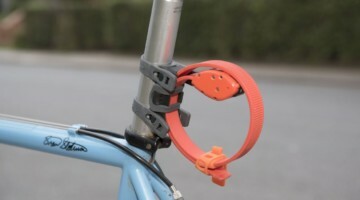 Rouvy’s main feature is the ability to ride real-life routes that are synced with video. Want to ride Mt. Ventoux or one of the climbs of the Giro? You can do that with Rouvy. The videos speed up or slow down based on your speed, which can be a little wonky at times, but the software can still give you the experience of cranking on a steep climb in the Alps for an hour plus. 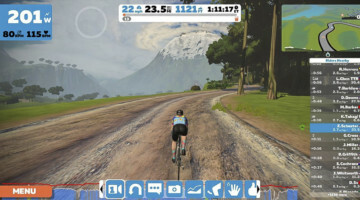 Rouvy also allows you to set workouts, do a free ride based on a set slope or power and there is a race function that appears to be less developed and less popular than the one in Zwift current is. Other options include, among others, TrainerRoad and The Sufferfest. We do not have experience with these, although there is plenty of information about them available online. Each is subscription based, but they come with a short trial period. 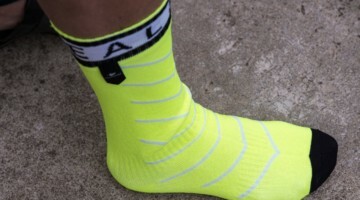 One gift option is an IOU after your favorite cyclist picks his or her favorite. Anyone with a new smart trainer is likely going to want software to use with their versatile machine. A subscription to one of the many training platforms available is the perfect way to ensure they get their money’s worth from the new trainer. Programs such as Zwift can also be a good gift for the trainer adverse. Maybe the prospect of getting mid-winter virtual races in or tackling the Alps is just what your favorite cyclocrosser needs to stop worrying and love the trainer. More info: See links above.